What's not to love about overnight oats. They’re quick, easy, super healthy and ready to eat when you get up. These are such a family favourite in our house. Oats for me, are a soul food that always create a sense of wellbeing. It's something that I can make in 5 minutes the night before in a jar or tupperware, pop in the fridge and then give the girls straight from the fridge on a morning to fuel them up before they head to school/nursery. Oh and they taste like pudding. Just put together into a jar or tupperware, give a stir and pop in the fridge overnight. Done. 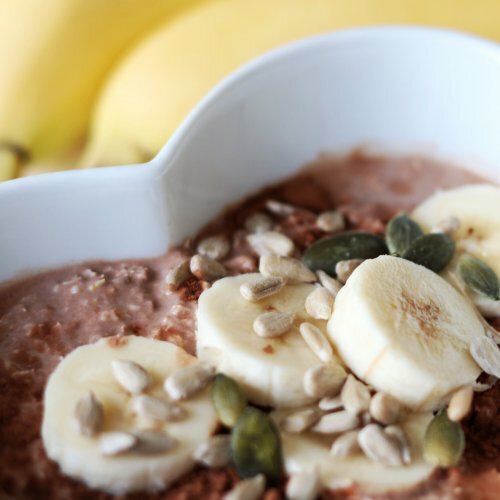 Want to add super charge your oats? Add frozen berries or chia seeds. Next morning - all you need to do is grab a spoon and eat straight out of the fridge or pour into a bowl if you are not eating on the go.